Members of the Missouri Black Legislative Caucus address media about this year's Ferguson-related bills Wednesday in Jefferson City. "On the first day of session, the speaker of the House stated, 'We're not going to have a Ferguson agenda in the House,' and that is unacceptable,” Ellington said. “We're hopeful the speaker will reverse his position ... and utilize what is happening in Ferguson to make sure we have justice for all the citizens in the state." "I am disappointed with the inaccuracies reflected in the comments made today by Rep. Ellington," Diehl said in the news release. “As he well knows, I have referred 42 of the 43 Ferguson-related bills to committee, and many of these have already received public hearings, including his HJR 17 to eliminate grand juries. "It is my understanding that after the hearing was held on his HJR that Rep. Ellington asked that the matter no longer be pursued because of overwhelming opposition to the proposal, including from members of his own caucus," Diehl added. The caucus' push comes just two weeks before the legislature takes its break halfway through the four-and-a-half month session. Ellington cited other legislation, such as the controversial "right-to-work" bill passed by the House earlier this session as proof the body can move fast on bills if the speaker wants to. Instead, the House is “sitting on bills” to address police training and body camera requirements. "Right-to-work" was sent over to the Senate last month. In Diehl's news release, he reiterated all Ferguson-related bills would be referred before the legislative spring break. "As they move through the process, we will weigh their merits with a reasoned approach based on facts not emotion. 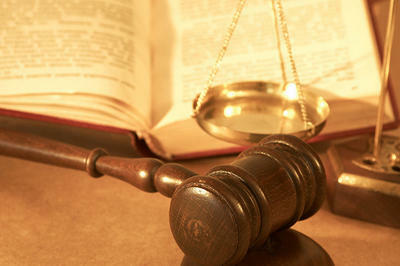 Results are accomplished through hard work, not grandstanding," he said in the release. HB38 - Requires police to attend a training course in diversity and sensitivity and tactics to use during periods of unrest and peaceful demonstrations. It has been stuck in the Public Safety and Emergency Preparedness Committee since early February. HB39 - Requires police in uniform to wear body cameras, but it has not yet been brought up in committee. HB40 - Requires police to undergo a psychological evaluation every three years. 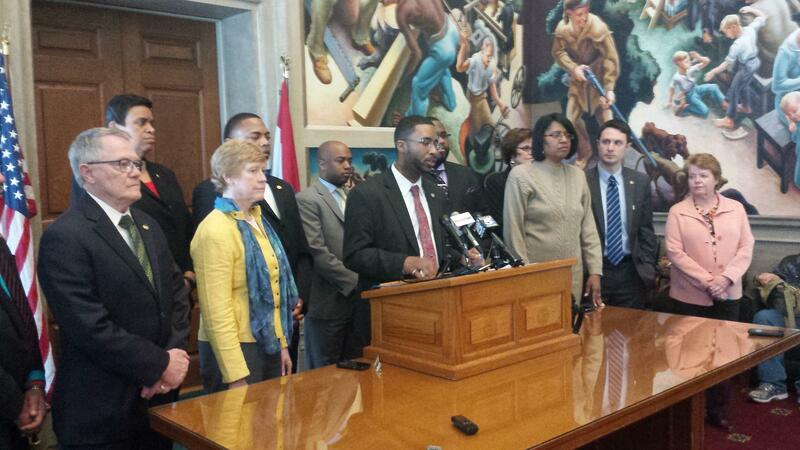 HB75 - Requires police to wear body cameras and store the footage for 30 days. HB945 - Requires more officer training, but has not come up in committee since having a second read in mid-February. You can find more bills in St. Louis Public Radio’s bill tracker. Ellington said Wednesday that if other professions have high levels of training, so should all law enforcement. "We expect everybody to have a sufficient level of training, yet this legislation hasn't advanced (any of it)," Ellington said. "That's like saying that I want to put a teacher in the classroom, but I'm not going to require them to go to college or require them to have sustainable training." 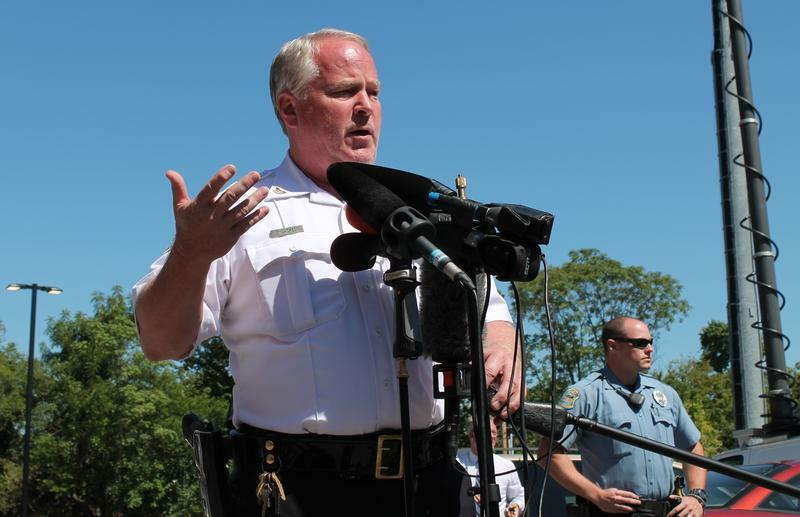 Later Wednesday, Ferguson announced that its embattled police chief, Thomas Jackson, would resign, effective March 19. When asked for reaction, stat Rep. Courtney Allen Curtis, D-Berkeley, said, "Anything short of the mayor (James Knowles) resigning at this point is not enough." In a statement, state Sen. Jamilah Nasheed, D-St. Louis, said that Jackson's "resignation has many locals, including local elected officials, believing once again that justice has not turned a blind eye." She added that the "next step is to dismantle the Ferguson police department altogether." Branden Mims, a pastor at the Greater Metropolitan Church of Christ in Kansas City and director of the Human Dignity and Economic Justice Coalition, said the issues in Ferguson stretch outside of the city. "I pastor the people that the state messes over, for lack of better words," Mims said. "When the state messes them over, they come to the church. Through traffic fines and whatever happens, when they (the state) take their money, they come to us. We have to pay their light bill and we have to pay the gas bill. We have to pay for the medical benefits and pay for their medicine." Mims also said he has been targeted by police because of his race. "I moved into a neighborhood a couple years ago. I was the only black face the (police) saw," he said. "The second day, the police knocked on my door at 11 o’clock at night and asked what I was doing there. "I didn't have a suit on. They didn’t know I was a pastor … they thought I was a young thug that came up on some money." Ellington said he’s sent letters every week to the speaker urging movement on the legislation, but so far, the dialogue with Republican leaders has only been that there is “no Ferguson agenda,” he said. "The worst thing about it is not what we're going to do, it's the message that Missouri is sending," Ellington said. "Missouri is sending out a message that we’re racist and we don’t care. Missouri is sending out a message that we have law enforcement officers that abuse so-called minorities and we’re comfortable with it." The Missouri Supreme Court’s decisive and unexpected Ferguson reforms Monday - on top of the Justice Department’s devastating critique of the town’s municipal courts last week - have created momentum toward major reform of the St. Louis County municipal courts, experts say.